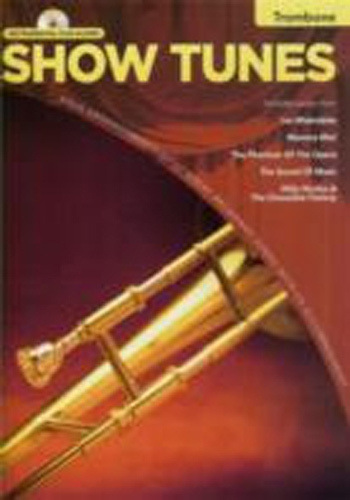 Show Tunes Instrumental Playalong, Trombome - Book & CD. This music book contains solo arrangements for 12 great Broadway Songs with accompaniment play-along CD. Songs Include: Any Dream Will Do, Bring Him Home, Cant Help Lovin Dat Man, The Candy Man, Climb Evry Mountain, Dancing Queen, Dont Cry For Me Argentina, The Impossible Dream, My Favorite Things, Phantom of the Opera, Where is Love?, and Written in the Stars.